Like every good ecosystem, Reno’s Innovation Ecosystem is grown with sunshine, fresh air, and a little water. That sounds a little sarcastic, but the value of a good physical environment is not something to snub. Reno averages 252 days of sunshine every year against the national average of 205 ranking Reno as the 7th sunniest city in the US. That’s almost 5 days a week of sunshine year round! Renoites are so spoiled with sunshine that it’s fairly routine for just 3 days of clouds to send the whole community into complaining about the lack of sunshine. 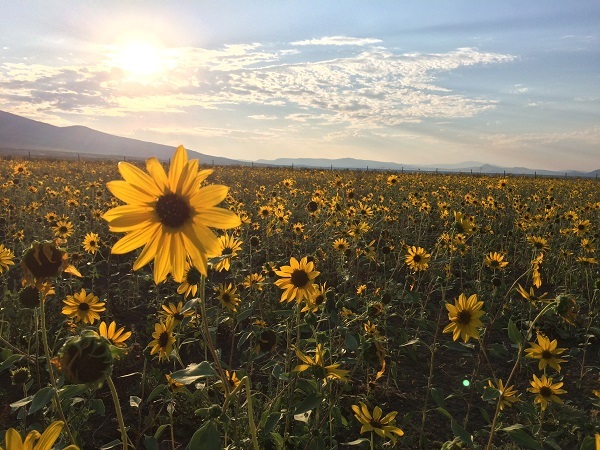 The sunshine Reno enjoys is just one example of why travelers that stay in Reno for a while are tempted to make the jump and make a home in Reno. Nestled up against the Sierras and sitting at roughly 4,500 feet elevation, Reno enjoys fantastic air quality the majority of the year (the exception being fire season). If you think this isn’t important, consider that an estimated 71,000 in the US die from pollution every year, granted that’s much better than 10 years prior. In addition to the sunshine and fresh air, Reno’s close proximity to the Sierras yield some of the most beautiful alpine lakes fed by over 400 inches of snowfall every year in places like Donner Summit. Why does sunshine fuel innovation? There’s a terrifying word they every innovative company and organization dreads – it’s burnout. Burnout is a dangerous topic that needs addressing all on its own, but Reno’s geographic location and physical environment is beautifully and uniquely suited to help every person in our community avoid burnout. Working at a computer all day? Looking out the window at blue skies and wispy clouds may be all the motivation you need to take a break and get some fresh air. Pondering your next project while looking off into the distance? You’ll see tan, green, and white mountains reminding to you keep a future focused orientation. Professionals in design and the arts understand the importance of an inspiring and peaceful environment to fuel their creativity. As humans we want positive stimulus from our environment. Reno provides that naturally 252 days of the year. Why do innovators love Reno? Put simply, innovators love reno because the environment and culture are conducive to maintaining a healthy work-life balance. A healthy work-live balance does two things: 1) it reduces, nay, eliminates burnout, and 2) it makes room for innovation and creativity. Innovators understand that great things can be done with a combination of hard work… and “aha” moments. Hard work is obviously important, but the “aha” moments are just as important if not more so. And “aha” moments happen during the in-betweens of hard work and play, when your brain has the freedom to creatively problem solve as opposed to being hyper-focused. If you’d like to chat more about what to do in Reno, reach out to me on LinkedIn or Twitter or email me at crystalh@unr.edu. I am happy to share my love for this city over a cup of tea or learn more about the exciting new things Reno offers. References: NOAA Comparative Climate Data, Yale Environment 360, Donner annual snowfall. Crystal Harvey is the Reno Innevation Center Assistant Director, and InNEVator Program Manager. The University of Nevada, Reno Innevation Center – Powered by Switch acts as the University’s avenue for supporting funded growth companies in the region. The InNEVator is a fully-funded 8-week bootcamp for start-ups in the field of IoT. Crystal’s expertise is in communicating both technology and business needs and has a background in project management, operations, mechanical engineering, and business development.